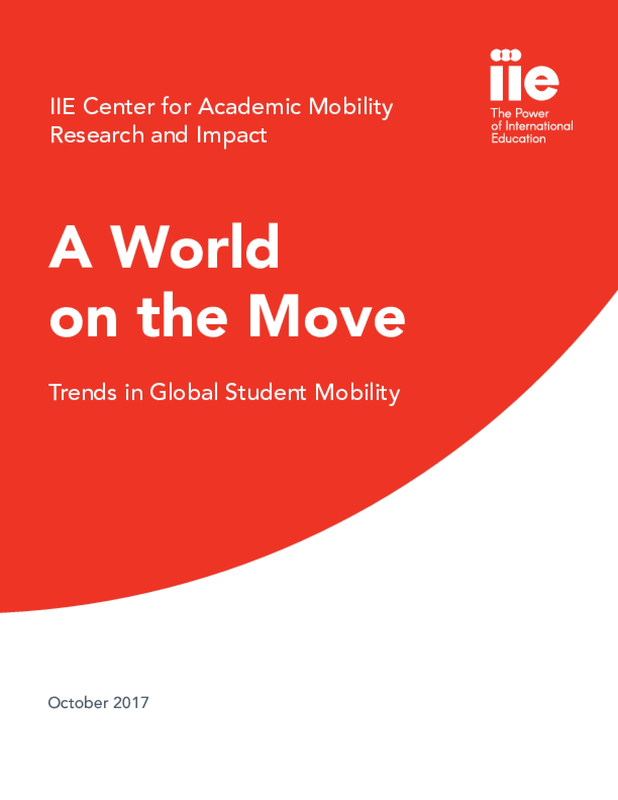 A World on the Move highlights key developments currently influencing student mobility in higher education in the United States and globally. Drawing upon Open Doors, Project Atlas and other sources of global data, the analysis points to a continuing demand for an international higher education in many parts of the world. Against the backdrop of recent trends, this report provides insight into the context of international student mobility.